Hi, my name is SarahKate and I love to create art! 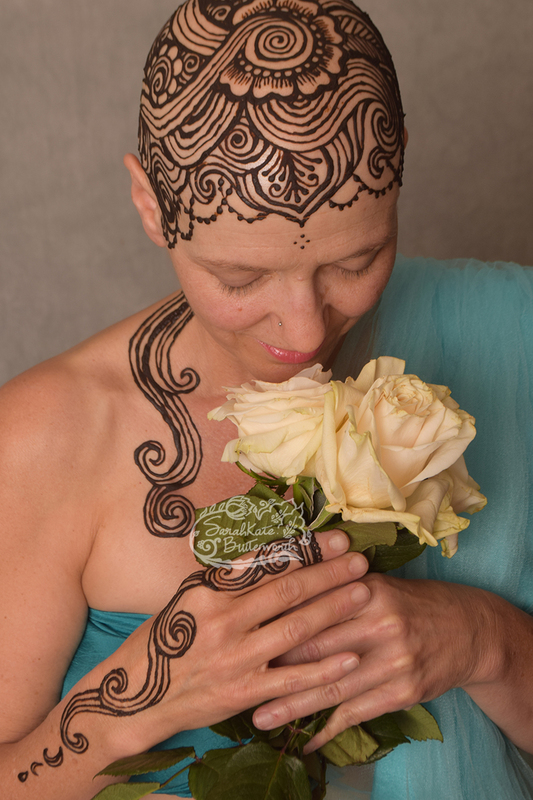 Most of my art is henna body art, but I also love to draw - doodles, logos, murals - you name it. This time of year finds me painting on windows with my paint pen at Larimer Square. As part of the Yuletide Christmas Walk I have decorated the windows of two stores, Aillea and Dog Savvy. The designs are full of snowflakes, winter foliage, and some winter creatures. There were several other talented artists working on the other windows - I am excited to return and see all the finished art. This art will be up all December, so come check it out! 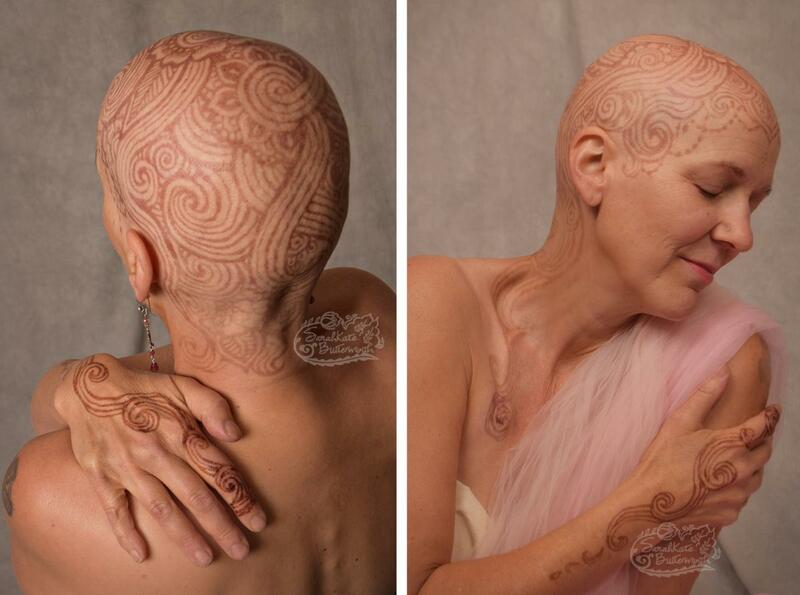 Getting henna can be an empowering experience during a time that is often stressful. I listen to each client and create a unique design that fits the energy of what they describe to me. In this case, I incorporated the idea of healing waters poured upon her head. 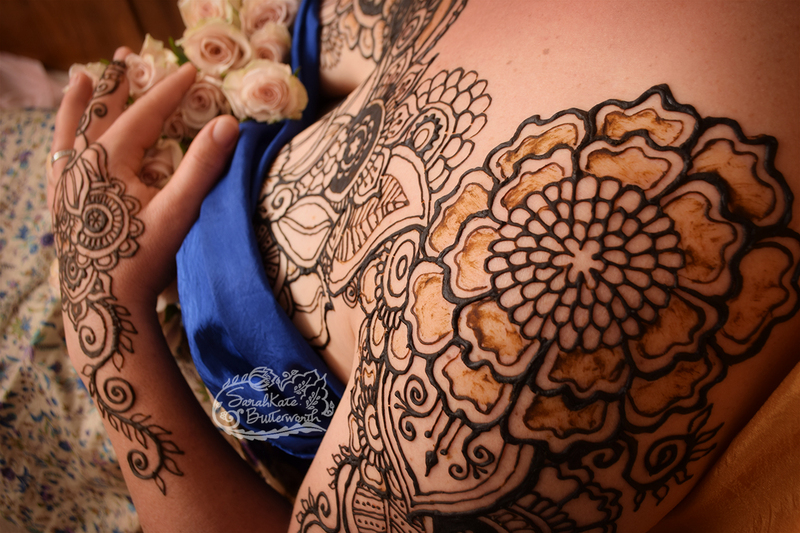 When freshly applied, the henna paste looks dark brown. This paste is rubbed off, leaving a light orange stain to the skin that darkens over the next few days. 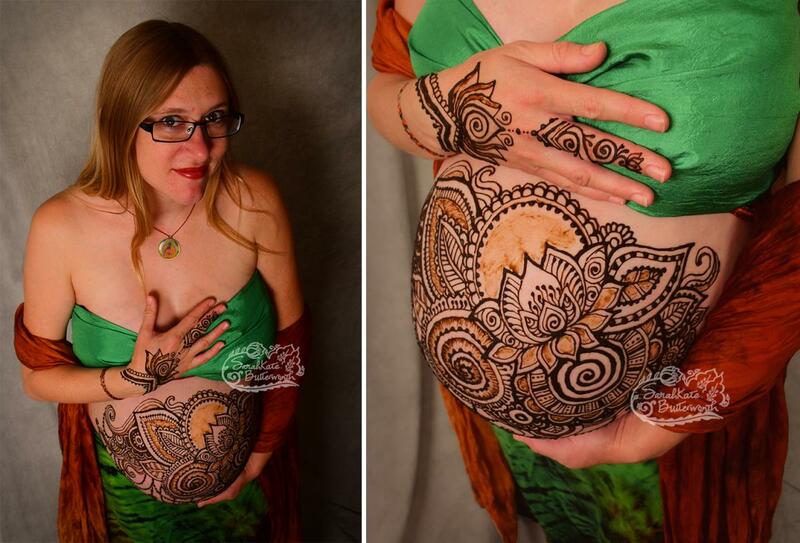 This amazing mama returned to the studio 3 days after I had adorned her for more photos. She is beautiful! I love meeting so many amazing pregnant mamas through the years! This week I had an appointment with this lovely Colorado native who told me a story about how there was snow falling when her husband proposed to her, as well as the the first snow of the year on their wedding. There was even snow at the birth of her first child! 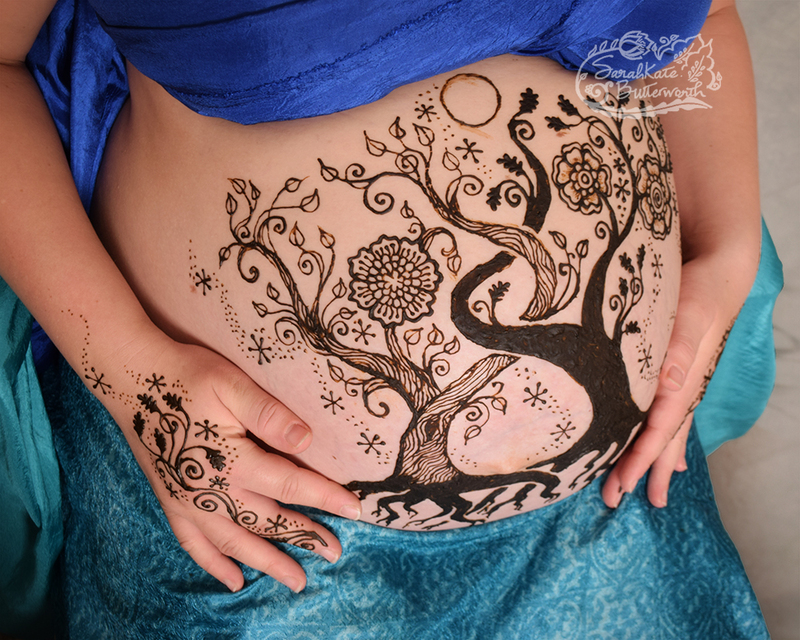 A tree of life had been requested to celebrate this pregnancy and after showing her many ways this could take shape, she felt it was best represented by two trees bending together. Roots flowing down was also part of the request, and I love to show this aspect of trees, above and below. And flowers ... because ... flowers are beautiful! My art does not have to be realistic and I'm grateful for that liberty. A full moon shines at the top of the tree because this dear baby is due soon, and the full moon is on Friday! I've been loving watching it get bigger in the cold night sky. As I rested my hand against this belly to paint I felt the little one inside me push against me and such a sweet way, it's like being touched by an angel. I give thanks that this is my work in the world! A lotus was part of the design request and the rest just came flowing out. 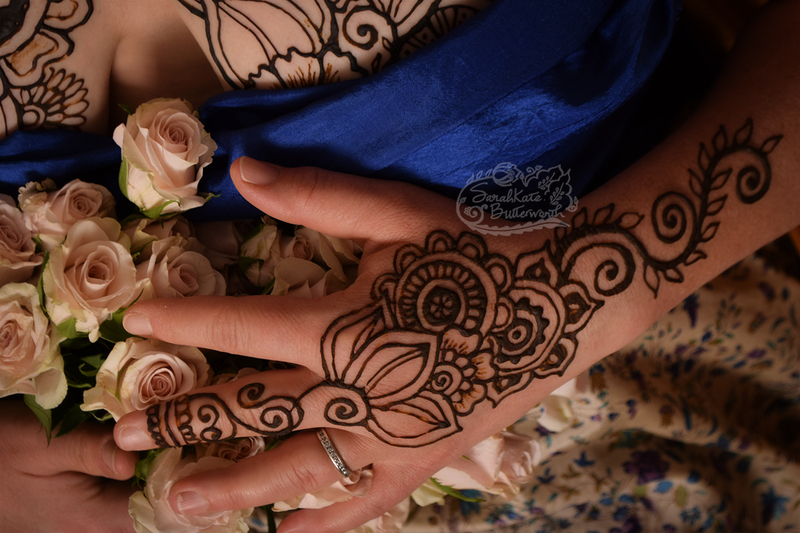 The process of applying the henna took about 2 hours, and then it was time to photograph. 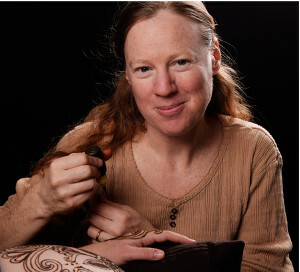 I have lights in my studio so we can capture the art right away! I love it when women bring special things to wear for photos - in this case the mama brought 2 skirts and we found some things from my collection of silky things that went with it. I especially loved her green tie dye skirt! Afterwards we stepped outside and caught some of the freshly fallen leaves. Autumn in Colorado is so beautiful! 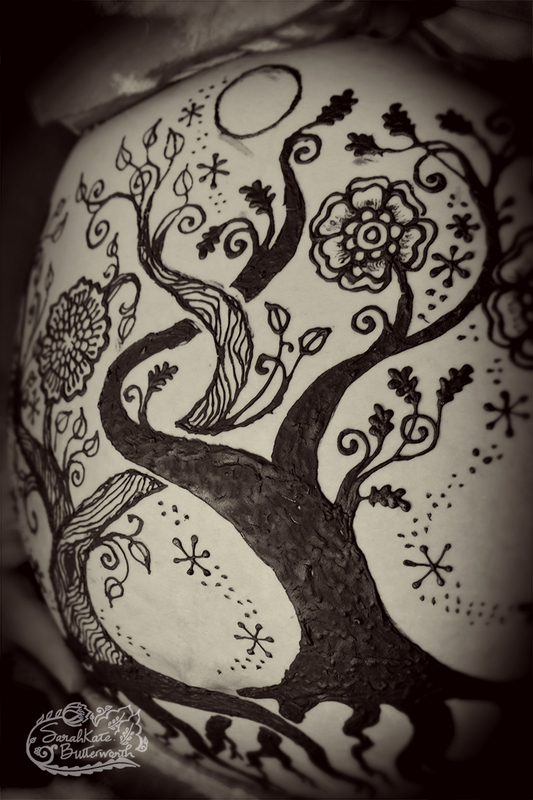 Some details from a henna session a few days ago, celebrating breastfeeding. Design requests were casual, so a flowery doodle came through. 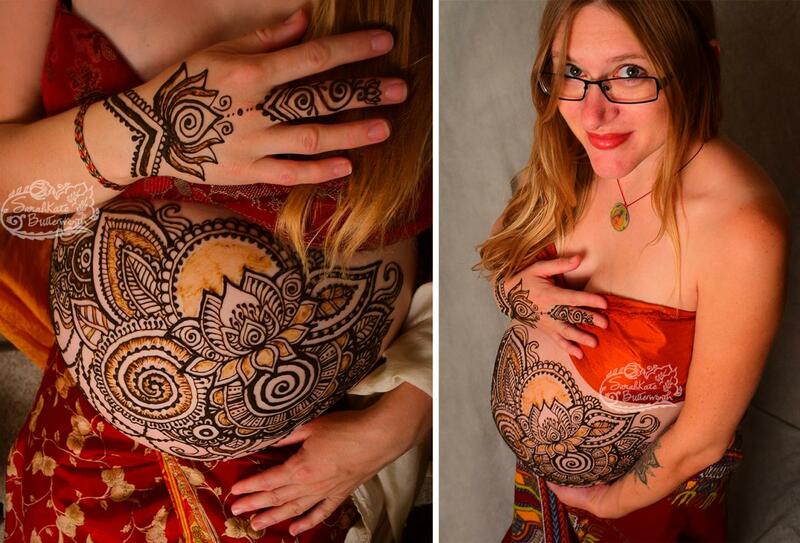 This may be the last baby she breastfeeds.... the henna is temporary but the photos will remind her of this sweet bond forever. It's a chilly November in Colorado, but it's never to cold to create art! This lovely maiden bared her belly to the autumn winds as part of the Sacred Feminine Art Project I'm working on. I love being with women in nature, and just seeing how things *flow* as we photograph. Sometimes I am drawn to photograph outside, sometimes sessions are indoors only.